KAMPALA – Parliament has committed itself to investigate the circumstances surrounding the management crisis at Makerere University. The suspended leaders of Makerere University Academic Staff Association (MUASA) headed by its Chairperson, Dr. Deus Kamunyu Muhwezi met the Speaker and the Workers Member of Parliament, Mr. Sam Lyomoki at Parliament. Dr. Kamunyu and his team appealed to Parliament to investigate what he termed as mismanagement at Makerere University. “Mismanagement has reached pinnacle point at Makerere. We pray that Parliament urgently intervenes in the Makerere fiasco and start by reinstating all illegally suspended staff members,” said Dr. Kamunyu. He revealed that the management of Makerere has resorted to short term hiring and appointments to keep the employees submissive to the system. “There is use of perpetual short term contracts of 6 months or one year and many people serving in perpetual acting capacities for even four years,” noted Dr. Kamunyu. “The suspension of Makerere university staff by the Vice Chancellor, Prof. Barnabas Nawangwe is unconstitutional and already affecting the academic process,” Sam Lyomoki remarked. MUASA General Secretary Dr. Isaac Wanzige Magoola, stated that the development in Makerere is “worse” than that of Bank of Uganda, which is currently under parliamentary investigation. The Speaker requested for Dr. Rwendeire Visitation Committee report findings before referring the matter to a responsible committee for investigations. 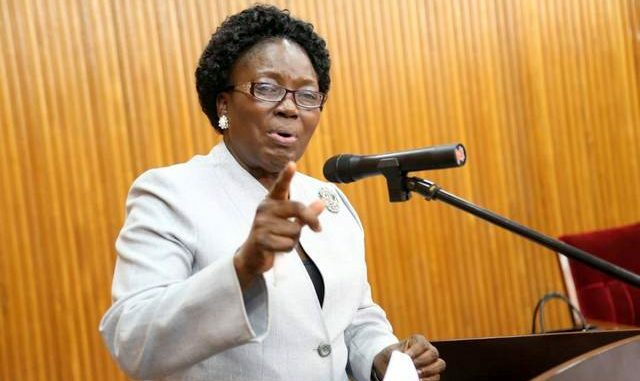 “The report will help us know the gaps and see the areas to be addressed,” said Kadaga. The industrial strike taken by MUK staff over the suspension of their leaders has entered day 11.